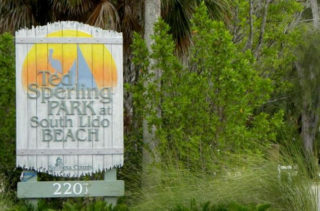 Members of the public are being invited to review and comment on Sarasota County’s Multi-Year Implementation Plan for an improvement project at Ted Sperling Park that would use RESTORE Act funds, the county has announced. The review and comment period began Feb. 15 and will be open through April 5, a county news release says. Sarasota County has received about $1.19 million to use for qualifying projects through the Gulf Coast Restoration Trust Fund, the release notes. “This money comes from Clean Water Act penalties related to the Deepwater Horizon oil spill of 2010,” it explains, referring to the BP drilling platform disaster in the Gulf of Mexico. Construction of a multi-use recreational trail within the park that completes a segment of the City of Sarasota’s Bayfront multi-use recreational trail. Replacement of an existing wooden boardwalk. At the end of the review and comment period, the plan will be revised if needed and submitted to the U.S. Department of the Treasury for approval, the release says. Following approval, the county must apply to the Treasury Department for project grant funding. The public may review the plan, which includes additional details about the proposed project, online. Comments may be provided via email to RESTORE@scgov.net or mailed to Environmental Planning Manager, Planning and Development Services, Environmental Protection Division, 1001 Sarasota Center Blvd., Sarasota, FL 34240. For more information, call the Sarasota County Contact Center at 861-5000.